Berg Feinfield Vision Correction (Sherman Oaks) - Book Appointment Online! 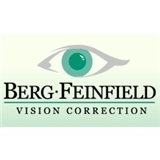 *Established in 1980* We at Berg Feinfield Vision Correction, are committed to providing the highest quality service with the most advanced technology available today. We are dedicated in helping patients with their most important sense: their sight. Our staff strongly believes in providing each patient with personalized care in a professional and comfortable environment. We strive to maintain your satisfaction and loyalty while never compromising our high standards of vision care. Short, friendly and to the point. Assuaged my concerns with simple medical facts.